Product Consists: Set of Five Glossy Rakhi nicely tied on a Designer Card. 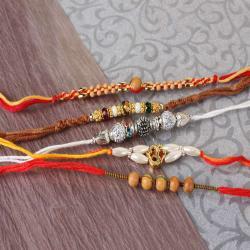 Giftacrossindia.com has come up with rakhi sets if you have more than just one brother, it will be a great gift for the occasion. 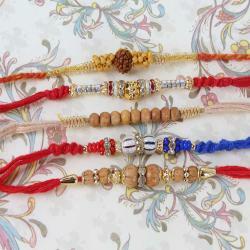 The bright glow of Raksha bandhan occasion is Rakhi. 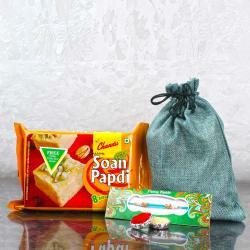 So send this exclusive five rakhi set and let your brothers to feel of Rakshabandhan alive this year. 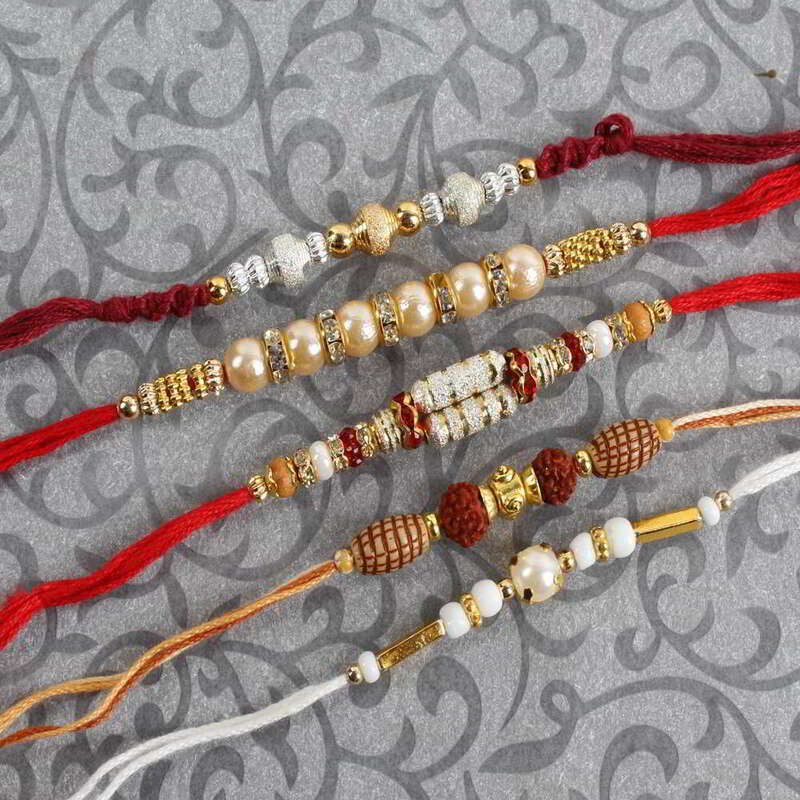 Designer rakhis will make the day of Raksha Bandhan a fun-filled one. 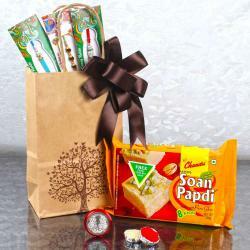 What can be a better rakhi gift set than this, Raksha Bandhan is ought to make your brother happy and blessed to have a loving sister like you. Product Includes: Set of Five Glossy Rakhi nicely tied on a Designer Card.